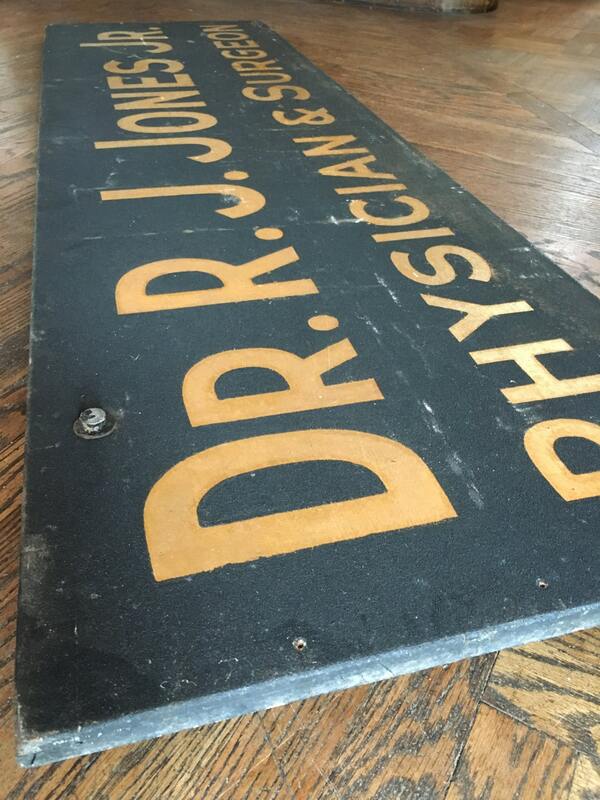 Early 1900s original handmade trade sign. 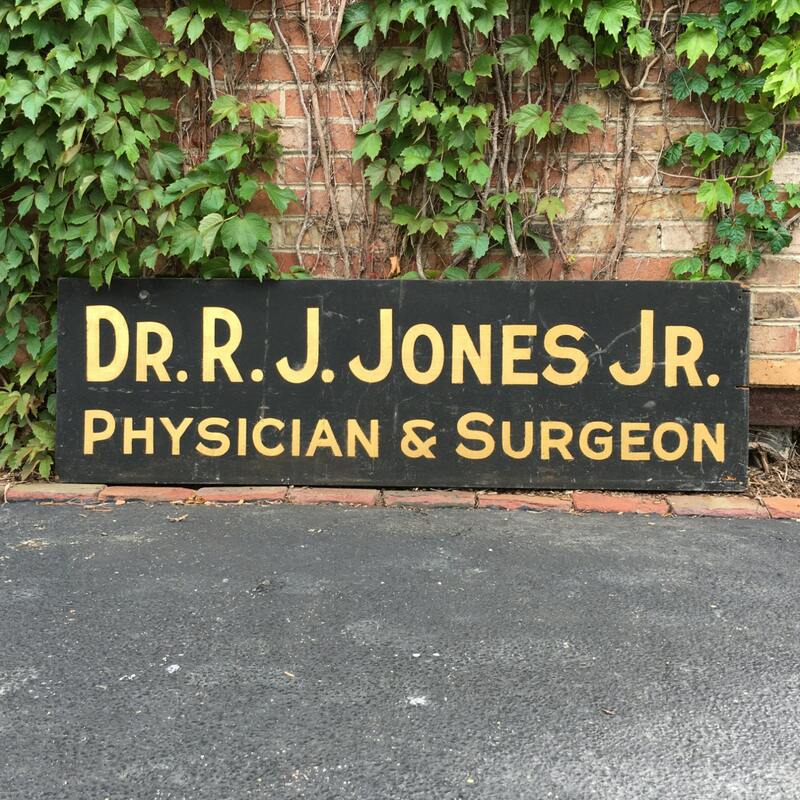 "Dr. R.J. Jones Jr, Physician & Surgeon"
Large in size, displays great. 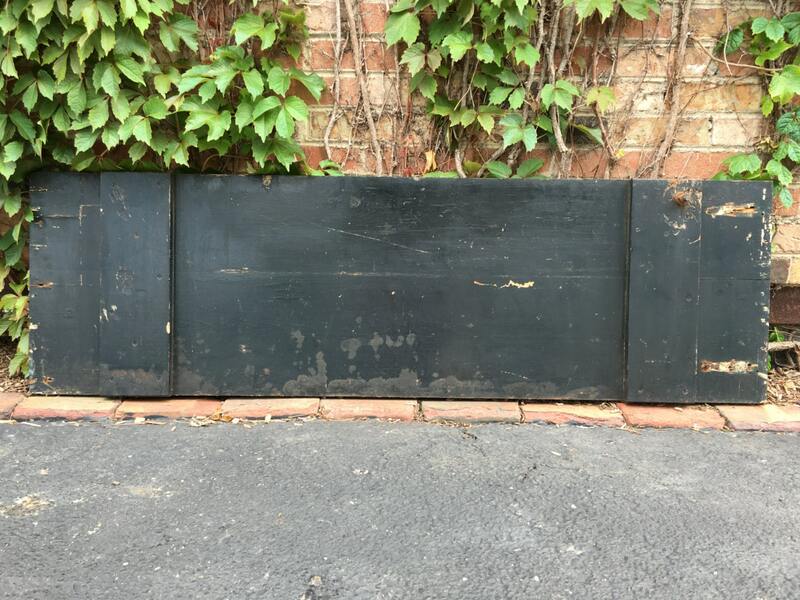 Heavy duty, solid wood construction. 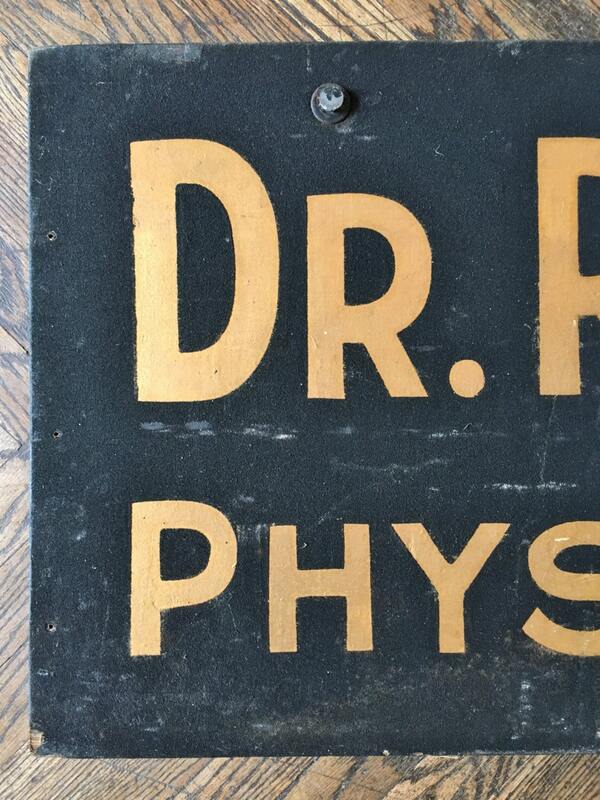 Reflective gold lettering pop against black background. Background is a rough textured sand paint, often referred to as schmaltz paint. 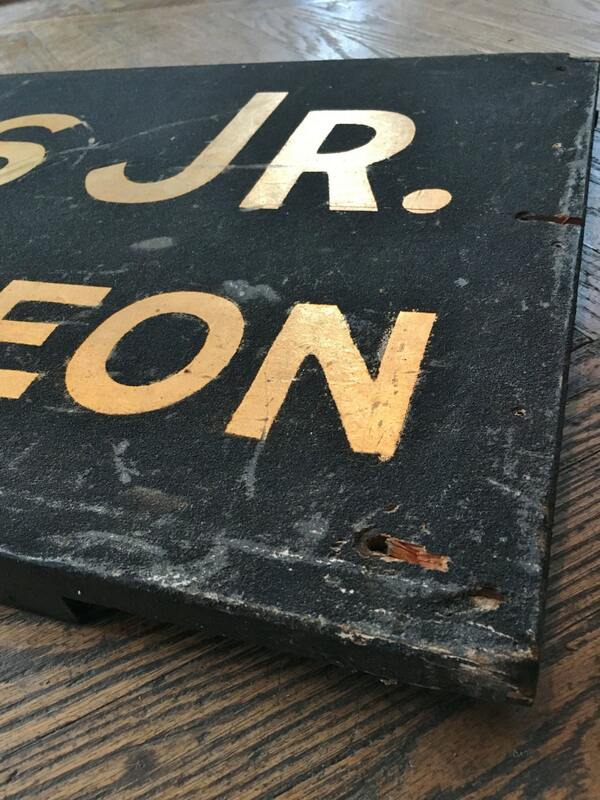 Very good condition for an old sign that lived most of its life outdoors. Typical wear, scuffs and scratches throughout. Nail holes, minor splitting and wear around holes. One remnant bolt left over from it being mounted.